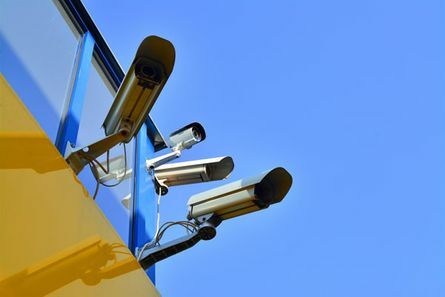 Our CCTV monitoring service involves motion detection CCTV cameras and a public address systems being mounted around the perimeter of your site. One of the key benefits of our CCTV monitoring systems is they issue personalised audio warnings once an intruder has been detected, meaning they can effectively prevent crime rather than just record it. CCTV monitoring is also one of the most cost effective methods of protecting your home or business. Detection – if your perimeter is breached, our motion detecting cameras will broadcast a live image to our command station where we can monitor the intruders. Warning – a personalised audio warning is broadcast to the intruder, notifying them to leave the premises immediately. Apprehension – if the intruder ignores the warning and persists, [company_name] staff will guide Gardai to your premises so the intruder can be apprehended. At Digiwatch we are flexible with our services and can tailor our security solutions to suit your unique requirements. If you have a specific security request for your premises don’t hesitate to contact us, a member of our skilled team will be happy to provide assistance. CCTV monitoring by Digiwatch is a great way to protect your home or business. Call us to find out more.